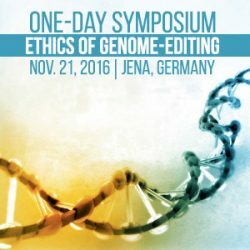 Joint one-day event on the Ethics of Genome-Editing. Ethical, Social, and Legal Aspects. November 21, 2016 in Jena, Germany.